Seeking alternative health therapies and treatments can be a leap of faith for some new patients. If you’re unversed in naturopathic medicine and holistic healing, you might be hesitant about your first encounter. Before you make an appointment, it’s important to clarify about Naturopathic philosophy to help you better understand what Naturopathic Doctors do! Since patient-practitioner relationships in naturopathic medicine are built on trust and connection, it’s important to have a better understanding of who we are and what some of our beliefs are, rather than simply the treatments we offer. Hopefully these will translate into some serious considerations in favour of consulting a naturopathic team, but more importantly it will help you conceptualize naturopathic philosophy. 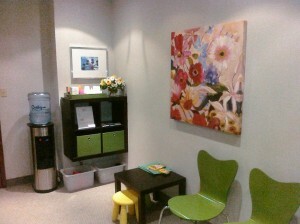 Make yourself at home at Thrive Health! We’re warm, friendly, and family-oriented. Our commitment to organic, holistic and nature is all-encompassing, and extends to the atmosphere we create in our office. That means that when you walk into our clinic you should feel comfortable and at home. Your kids too! We really want to get to know you. Before we treat you, we need some details –and we love the process of getting acquainted with patients! In addition to telling us the usual health history, we like to know about your lifestyle, work, diet and even things like your home life if you are comfortable to share. We want to know about your concerns and questions too- we’re here to learn about you as a person, not a patient. We don’t just want to get you healthy; we want to keep you healthy! 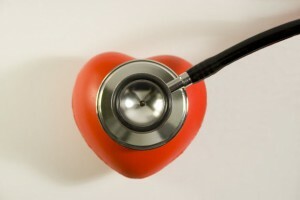 Naturopathic medicine is as much about prevention as it is about treatment. In fact, we believe that prevention is a powerful “drug” for many of the acute conditions and ailments that patients commonly suffer from. We’ll help you to improve your entire lifestyle to optimize your present and future health. We invest in our patients and look out for their psychological and physical wellbeing. We (like you) try and avoid pain, side effects, invasiveness, and chemicals! It’s our goal to treat you gently, naturally and effectively. We understand that you want to minimize risk to your health, the health of your children, or the health of your unborn baby. We take these objectives seriously. Know that you’re in good hands and that treatment doesn’t have to be unpleasant; it can in fact be soothing and relaxing. Naturopathic medicine and alternative therapies can provide you with a very unique brand of care. It’s particularly useful to examine these options if you’re in a position where traditional medicine isn’t working for you. For example if you are pregnant, breastfeeding, trying to conceive, or looking to treat an infant or young child, you’ll likely want to avoid synthetic medicines and invasive practices. We can help you find the natural alternatives that will work best for you and your family. Naturopathic care is also a great way to facilitate and support a journey to better health for those who experience ailments and discomfort that has lasted a long time but remained undiagnosed or unchanged. If you’ve long suffered from fatigue, aches, pains or digestive distress and you’re tired of it, a naturopathic team will help you to start identifying the problem. Even if you are sticking to a more traditional medical treatment plan for a specific condition, naturopathic care can be an effective way to supplement your other remedies and therapies.